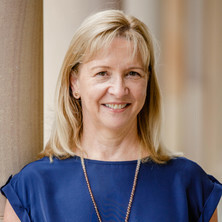 Julia is a Lecturer and Researcher at the University of Queensland. She has been researching whiplash and neck pain since 2000 and in 2004 completed her PhD focusing on the necks influence on sensorimotor control. She has continued her research in this area in idiopathic neck pain, headache, the elderly and post concussion. She has over 80 publications in this area, written several book chapters and is an author of the upcoming book “Management of neck disorders- an evidenced based approach”. Julia works part-time as a physiotherapist in a private practice managing patients such as those with, whiplash, cervicogenic dizziness and post concussion syndrome and been involved as a clinician on several whiplash RCTs. Julia is also an assessor at the Whiplash Physical Diagnostic Clinic. Julia has been an invited speaker at many national and international conferences and workshops in the area of neck pain, whiplash, concussion and dizziness. Convenor of 2 focused symposiums for the International Federation of Orthopaedic Manipulative Therapists conferences (IFOMPT) in 2012 and 2016. Journal Article: Persistent impairment based symptoms post mild traumatic brain injury: Does a standard symptom scale detect them? Do impairments exist beyond expected recovery time following Mild Traumatic Brain Injury and what is their relationship with self-reported symptoms? Persistent impairment based symptoms post mild traumatic brain injury: Does a standard symptom scale detect them? High variability of the subjective visual vertical test of vertical perception, in some people with neck pain - should this be a standard measure of cervical proprioception? Manueel-therapeutisch onderzoek: is provocatie van pijn een belangrijke diagnostische aanwijzing voor spinale functiestoornissen?